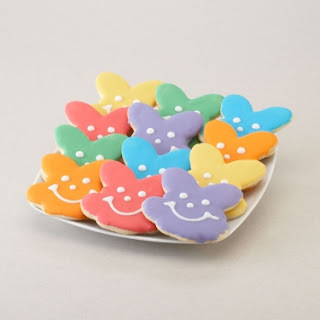 Lil' Blog and More: Easter Bunny Smiley Cookies Review. Back a few months ago, I actually had a chance to review the Gingerbread Smileys, and Christmas Tree Cookies for Smiley Cookies, and I loved them then, and I still love them now :)! 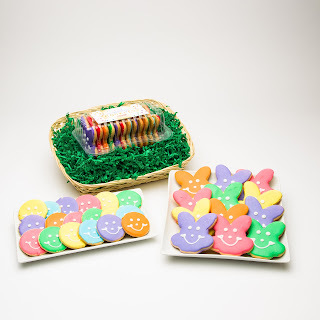 This time, we had a chance to review the adorable Easter Bunny Cookies. The cookies were so delicious, and they literally just crumbled in your mouth. My favorite part about the cookies was the bright colors. It was like a rainbow of cookies :D! We got 2 of each color, which included - red, purple, blue, green, orange, and yellow. The Smiley Cookie website offers delicious cookies all year around, and they offer seasonal items, so you can give the perfect gift, that never goes wrong. I mean, really? Who doesn't like cookies? Overall, we really loved the bunny cookies. They are so cute, and delicious! If you are interested in purchasing some cookies for yourself, be sure to take advantage of this - I have a discount for 10% off! 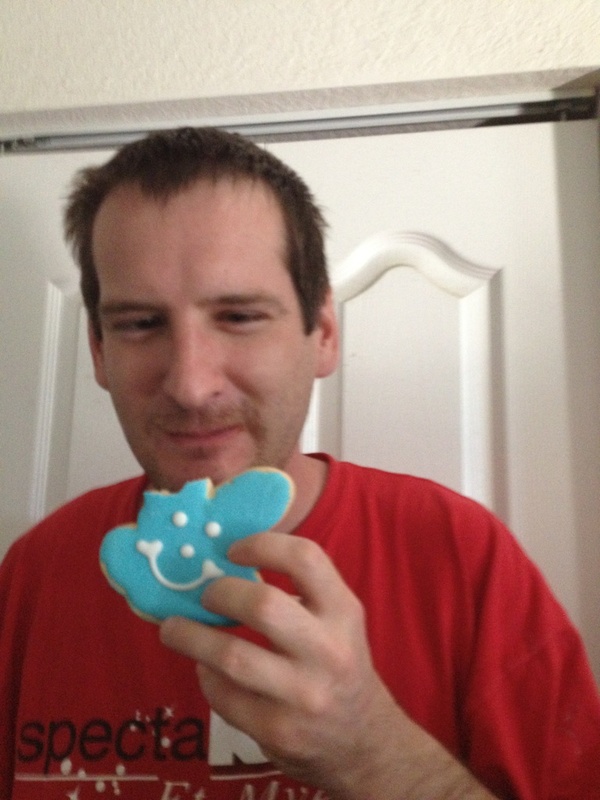 This discount is good toward any purchase from Smiley Cookies (Except Gift Cards.) Simply use the code: "BLOG10" at checkout. Be sure to connect with SmileyCookies on Facebook to stay updated. Very cute and very yummy looking! I love the colors - look yummy too! They look delicious. Now I want cookies for breakfast! LOL! These cookies just look too good to eat, but I bet they taste just as good as they look. Those look so yummy and cute! Yummy!! Great write up too! Very Cute, and they look yummy!! !